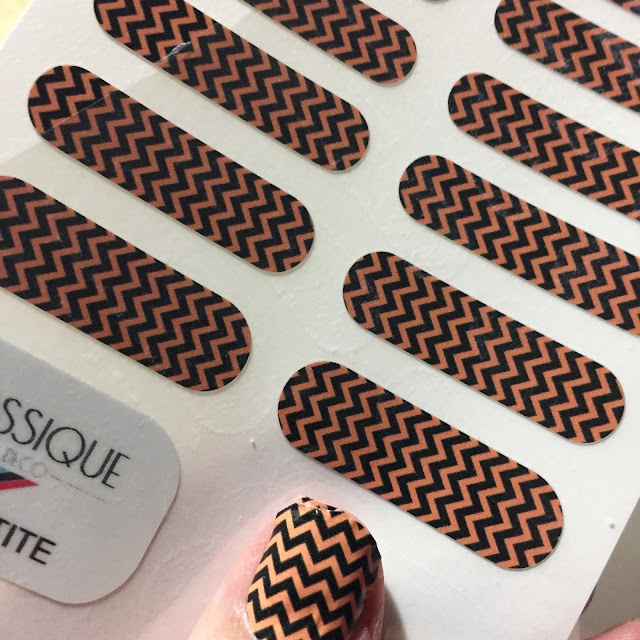 From spooky to sassy, Glossique’s nail wraps are a fun way to add some Halloween flare to your look. Glossique comes in regular and petite sizes, so you and your mini-me can have picture perfect nail art in minutes. 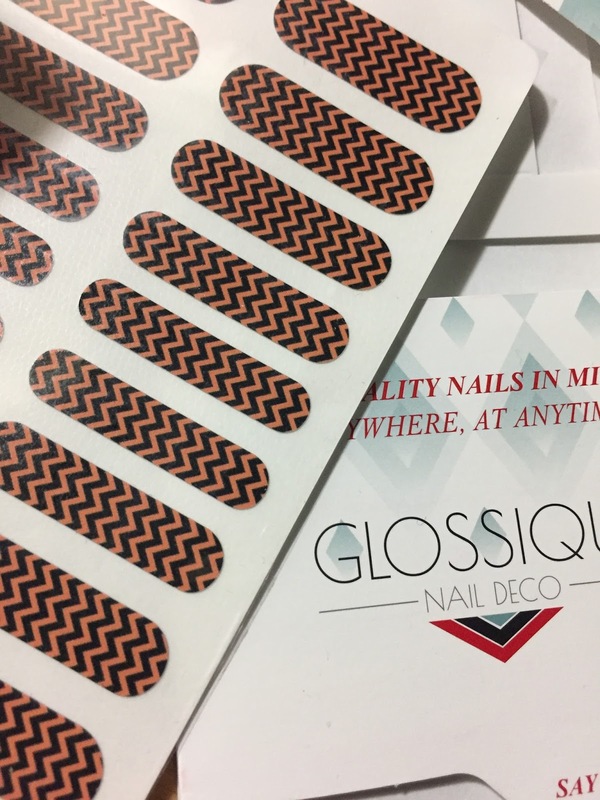 One of the best parts about Glossique nail wraps is they are SAFE, FUN and EASY for children to use- there is no heating required for application, they are chemical free, durable and simply peel off without damaging nails! I gave her a set of Glossique's non-toxic (no formaldeyde or paraben = kid-friendly) and easy to apply nail wraps and she can't wait to get more especially the Breast Cancer Awareness ones with the pink ribbon. We can't wait to see what they have around Christmas time. We love the bright colors and designs above. Aren't they fun? We have to purchase a sharp nail scissor so we can get a nice straight light but since our nails aren't long we are using one of them one three of her nails simply by cutting it. You can see how we wrapped it because it was a center piece and didn't have the nice curve like the Glossique's come with. They are easy to remove from the paper they come on, easy to lie on your clean, dry nail and when you want to change them out. Just peel and put a new one one.